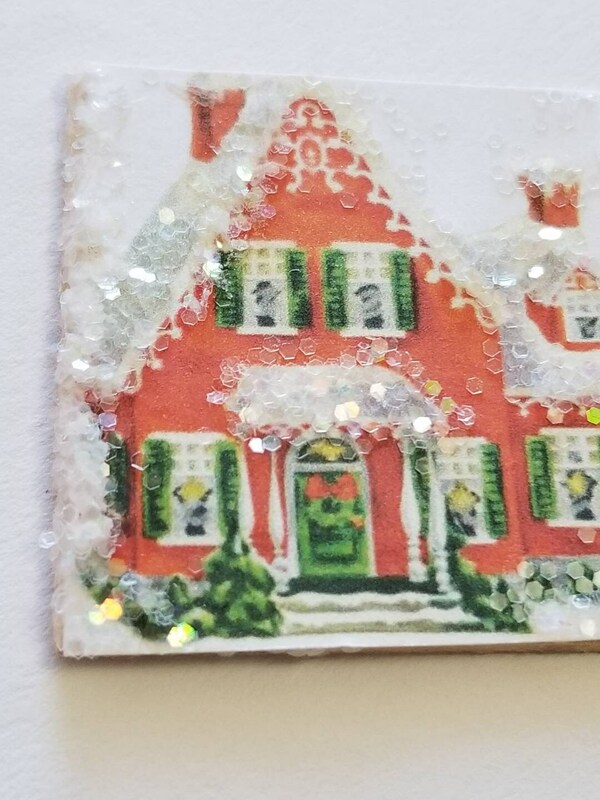 I love vintage Christmas scenes. 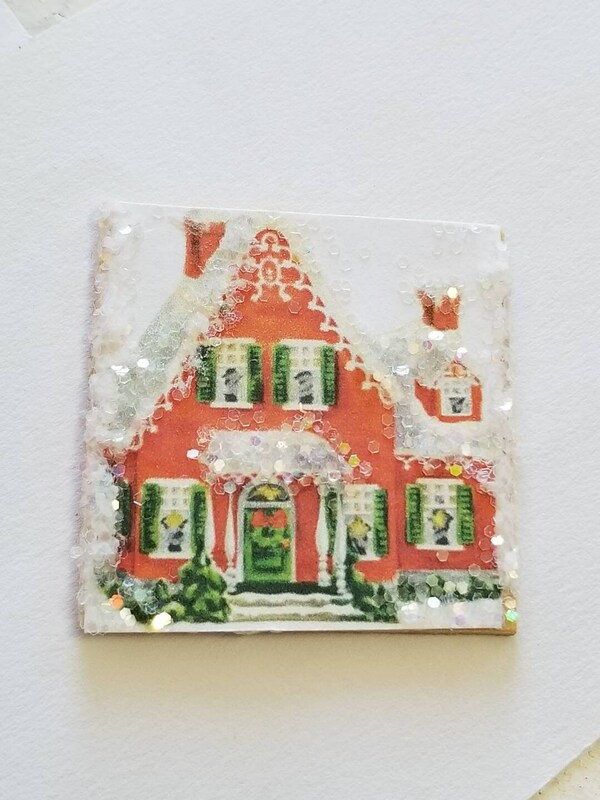 I love this vintage style Christmas house with glitter embellished snow on the roof. 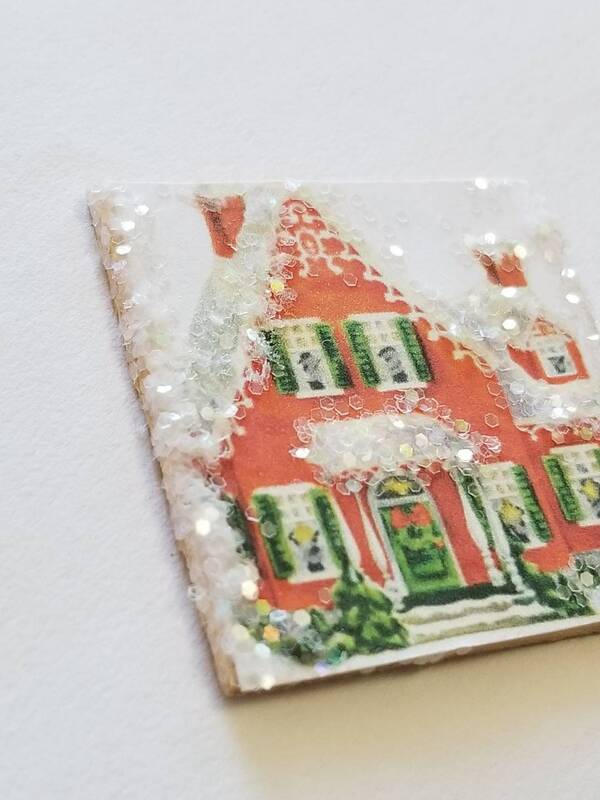 The Christmas art is embellished onto a wood backing measuring 1 1/2" x 1 1/×"
Perfect for a little miniature Christmas scene or used above a dollhouse fireplace for a seasonal look. Perfect! Just what I needed for my Mrs. Santa's shop. Delighted repeat customer!